Students are most likely to get sick when school starts because being at school put children’s immune systems to the test, offers The Mayo Clinic. Young children who are in close proximity to others in large groups tend to spread organisms like bacteria and viruses that cause illness. Breaking the cycle can take some work, but it’s possible to make this a healthy school year. Frequent handwashing is a great way to prevent illness. Handwashing habits are essential for school-aged children and should be taught as soon as possible. Children should wash their hands after they use the bathroom and before they eat. If they’ve been playing outside or have interacted with children who are sick, handwashing can help remove some of the germs lingering on their hands. Antibacterial wipes are another option, but they may not be as effective as washing hands with warm, soapy water. Sharing develops good manners and can foster new friendships. But children should be discouraged from sharing food, drinks and other personal items. Once the item has been placed in a child’s mouth, it should not be shared. Rare is the student who will never come down with an illness. When kids get sick, keep them at home. 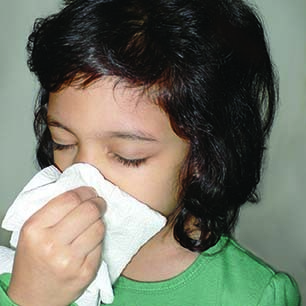 Schools may have guidelines indicating when it is acceptable for children to return to school, and it’s important that parents adhere to those guidelines so illnesses cannot spread around the school. While adults may need between seven and nine hours of sleep a night, children often require more. The National Sleep Foundation recommends eight to 13 hours of sleep a night for school-aged children. Begin adjusting sleep schedules during the latter part of summer vacation so that children can readjust to their regular sleep schedules. Parents also should feed kids nutritious diets consisting of a variety of foods. Avoid high-calorie junk foods, reserving such items only as special treats every so often. Some schools may be underfunded and may not have enough supplies to keep all of the classrooms and surfaces clean. Parents can help by donating cleaning wipes and sprays so that students and teachers can thrive in clean, healthy environments.